Advanced Email Scraper SAAS is most powerful web based tool to extract emails by various techniques like website crawl, URL crawl, search in Google/Bing, search in txt file.It has ability to scrape encoded email.The ASCII encoded email can be decoded by this tool.Not only that by this tools can check email validation (pattern, MX record) , search for whois data, filter your email list by removing duplicate emails, check web page status .It is designed carefully so that you can install and use it very easily. 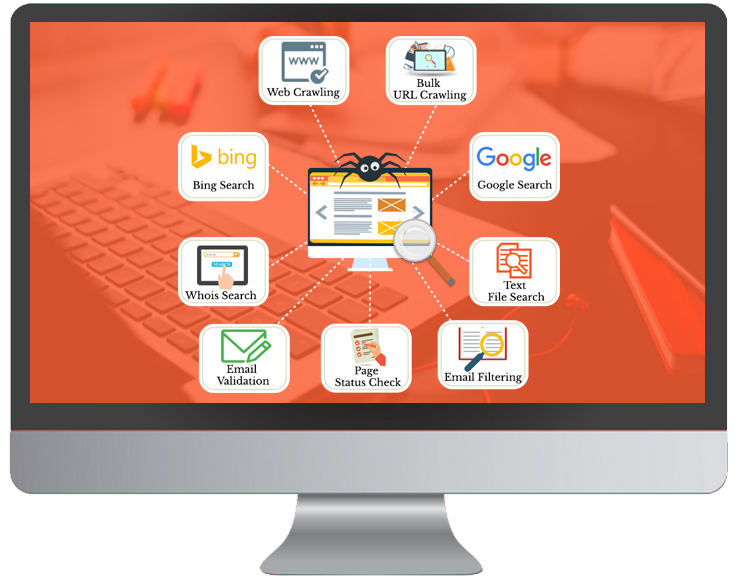 Advanced Email Scraper SAAS is most powerful web based tool to extract emails by various techniques like website crawl, URL crawl, search in Google/Bing, search in txt file. Not only that by this tools can check email validation (pattern, MX record) , search for whois data, filter your email list by removing duplicate emails, check web page status .It is designed carefully so that you can install and use it very easily. 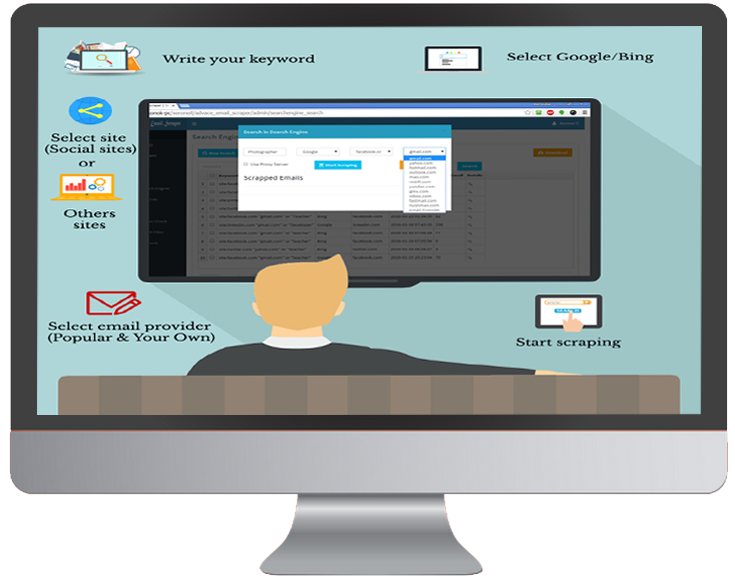 Get early access to Advanced Email Scraper SAAS today! © 2019 almutmiz.net | All Rights Reserved.